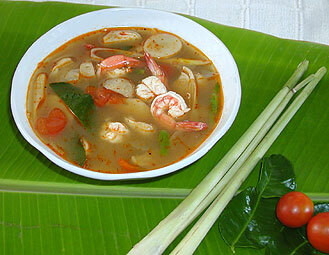 Come to Chiang Mai to learn about Thai Cookery. 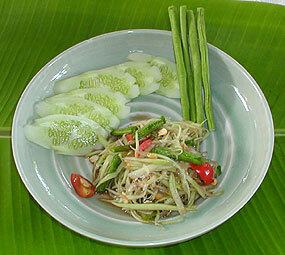 Book one of our all inclusive Thai Cookery Packages, that include cookery lessons and accommodation. Some trips include additional tours. Choose from packages that include 1-3 days of Thai cookery or take a trip that includes elephant riding and temples. 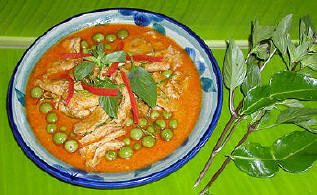 Our Thai Cookery packages are excellent value, starting at US$85/person for 2 days instruction + 3 nights accommodation. Check out the details, below. Day 1 Arrive in Chiang Mai. Transfer from the Airport to your hotel. Day 2 The first day is Thai Cookery. You are picked up at 9.30am and the day starts with a trip to the market to learn about all the produce available. During the day you will prepare and cook the following dishes (depending on day of course). In the afternoon at approx. 4.30pm you will be taken back to your hotel. Day 3 The second day of Thai Cookery. You are picked up at 9.30am and the day starts with learning how to prepare the curry paste used in one of the popular Thai dishes. transfers to and from Chiang Mai Airport. Accommodation - 3 nights (choose 3 or 4 star hotel). Transfers to and from cooking school. Cooking is a "join in" group basis. Day 2 The first day of Thai Cookery. You are picked up at 9.30am and the day starts with a trip to the market to learn about all the produce available. 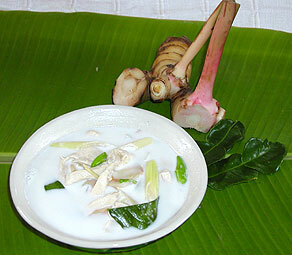 During the day you will prepare and cook the following dishes (depending on day of course) . Day 4 The third day of Thai Cookery. You are picked up at 9.30am and the day starts with learning and practicing some of the skills involved in vegetable carving. During the day you will prepare and cook the following dishes (depending on day of course). Day 2 The first day is a tour to the famous temple of Doi Suthep, the ancient city of Vieng Kum Kham and the handicraft centres around Chiang Mai. We start off with a drive (approx. 12kms) up to the famous temple of Doi Suthep. Once at the top, we then walk up the Naga head staircase of 190 steps (or there is an optional cable car ride). 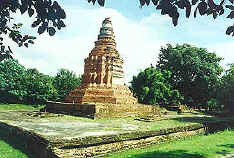 Once in the temple complex, you can see the amazing golden stupa and the views over Chiang Mai. After the drive down from the temple we visit the ancient site of Vieng Khum Kam, which was the original site of Chiang Mai, situated a few kilometres south from the present city. After lunch in the afternoon we drive to the many handicraft centres around Chiang Mai, including traditional umbrellas & paper, silver, lacquerware, silk and many others. In the afternoon we take you back to your hotel. Day 3 The second day is Thai Cookery. You are picked up at 9.30am and the day starts with a trip to the market to learn about all the produce available. During the day you will prepare and cook the following dishes (depending on day of course). Day 2 The first day is a tour to the Chiang Dao Elephant Camp. You are picked up from your hotel by your guide at 8.30am. Drive north of Chiang Mai to Chiang Dao (approx. 1hr) to the elephant camp. At the elephant camp you will see the elephants taking their morning bath and demonstrating some of their skills. Afterwards take an elephant ride for approx. 1½ hrs to a Lisu hilltribe village. The ride takes you through some of the lovely forest scenery and along the river. After lunch take a bamboo raft trip down the river for approx. 1 hr, admire the scenery and absorb the tranquility as you float down the river. Then drive back to Chiang Mai in the afternoon. Day 3 The second day is Thai Cookery. You are picked up at 9.30am and the day starts with a trip to the market to learn about all the produce available. During the day you will prepare and cook the following dishes (depending on day of course) . 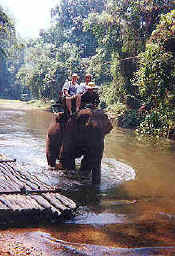 One day elephant safari as per itinerary (private trip). 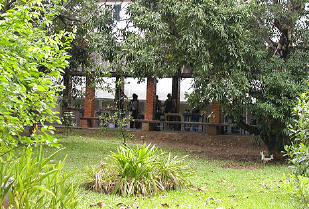 Day 4 The third day is a tour to the Chiang Dao Elephant Camp. You are picked up from your hotel by your guide at 8.30am. Drive north of Chiang Mai to Chiang Dao (approx. 1hr) to the elephant camp. At the elephant camp you will see the elephants taking their morning bath and demonstrating some of their skills. Afterwards take an elephant ride for approx. 1½ hrs to a Lisu hilltribe village. The ride takes you through some of the lovely forest scenery and along the river. After lunch take a bamboo raft trip down the river for approx. 1 hr, admire the scenery and absorb the tranquility as you float down the river. Then drive back to Chiang Mai in the afternoon. 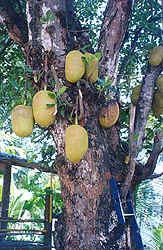 Chiang Mai Trips - a variety of itineraries touring Chiang Mai and the surrounding area. Tours and accommodation included. Choose either 3 or 4 star hotels . Or stay in a Thai-Lanna style boutique hotel.